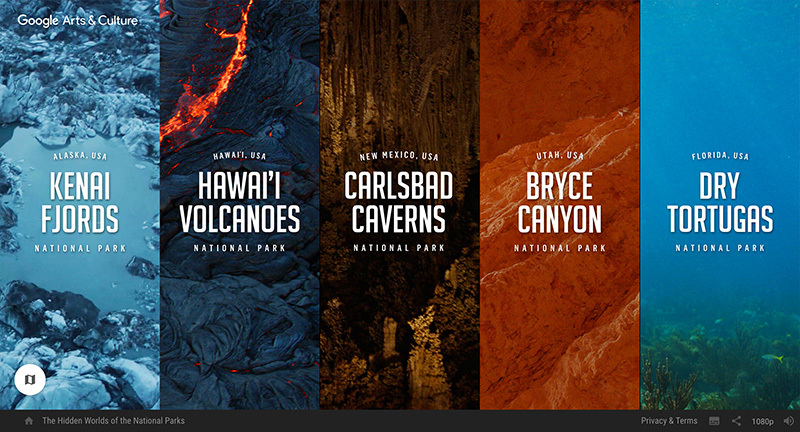 Lovely site promoting 100 years of the American National Parks System. 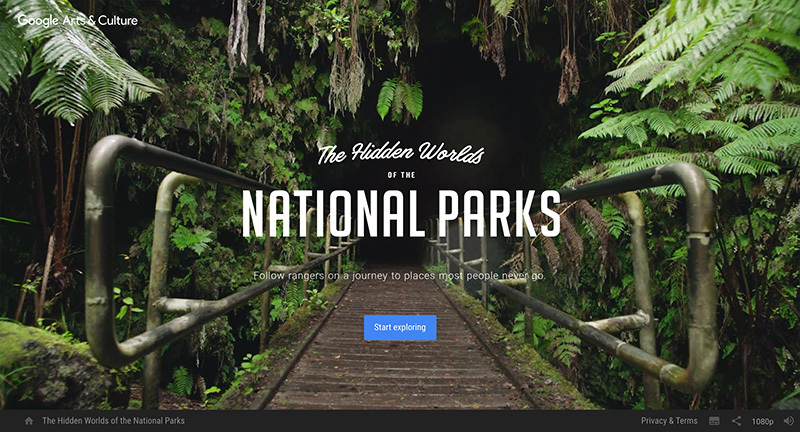 Choosing five of the hardest to access National Parks, Google brings an immersive exploration of these parks guided by the rangers that work there every day. 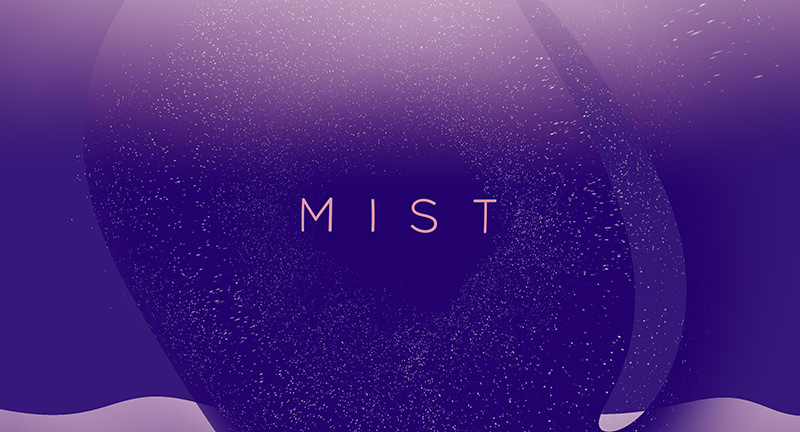 You can explore a crevasse, fly with thousands of bats, soar over an active volcano, dive through shipwrecks – many shot with 360 video/audio. 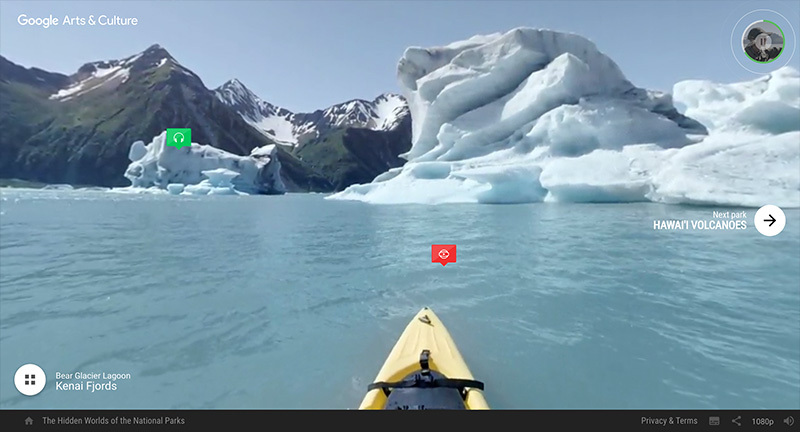 Each location has a few interactive moments, like scrubbing through time to see glacier melt. High production values, and a beautiful and immersive experience taking you to these iconic National Parks. 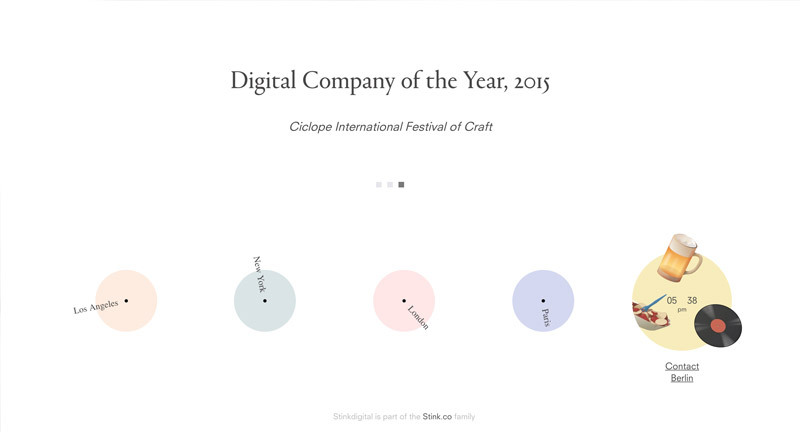 Created Google Brand Studio (@google) & Stinkdigital (@stinkdigital). 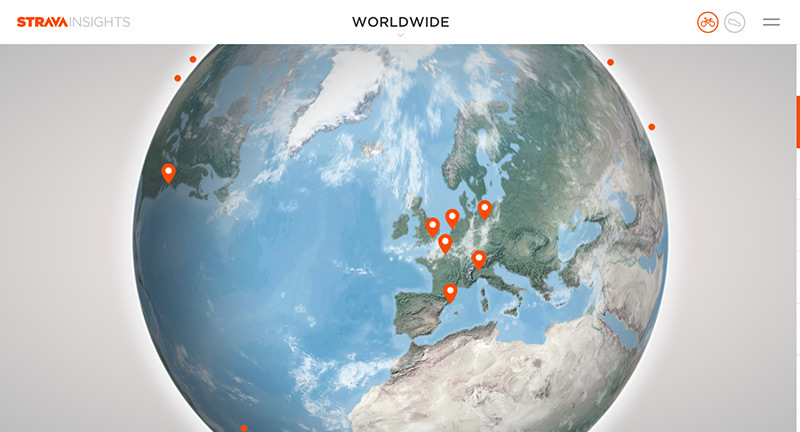 Lovely refresh of global agency Stinkdigital’s website. 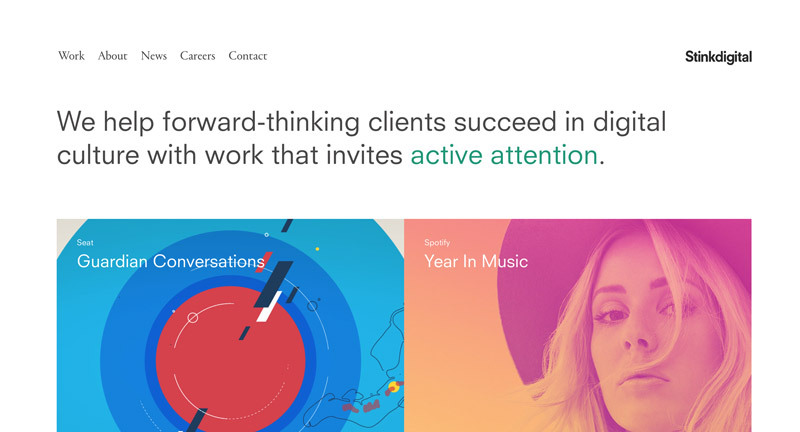 Clean and fresh and fast, the site shows a great folio of work. 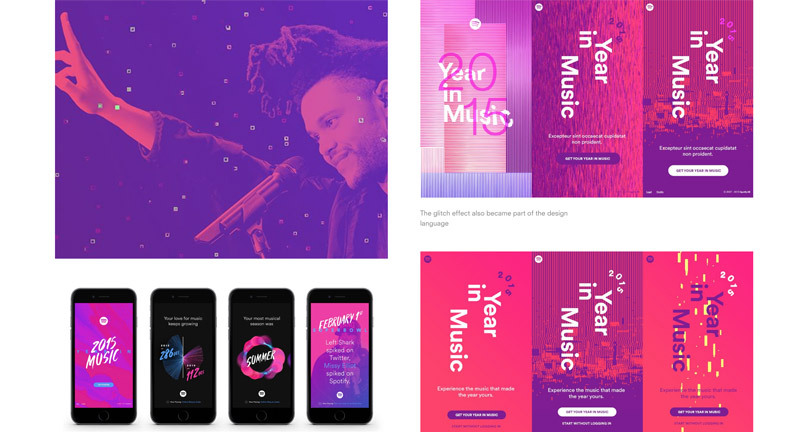 Love the transitions from page to page and pleasing gradients that accompany them, nice detail on the project pages with a mix of animated gifs, video content, and imagery. 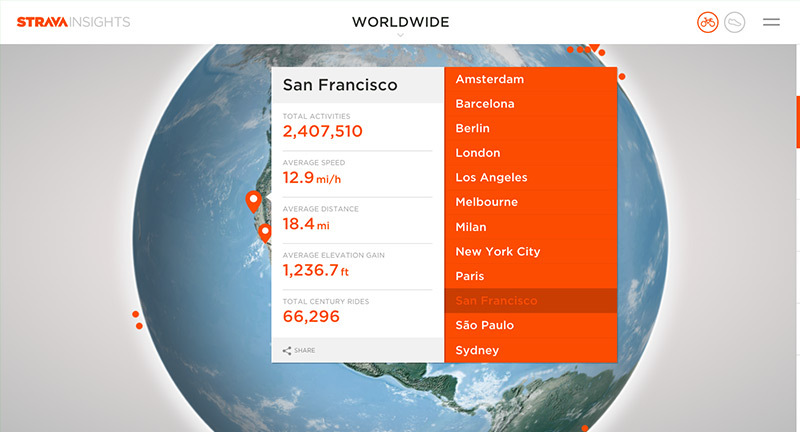 Really like the about page, and love the way they represented the different offices timezones is a smart and playful way. 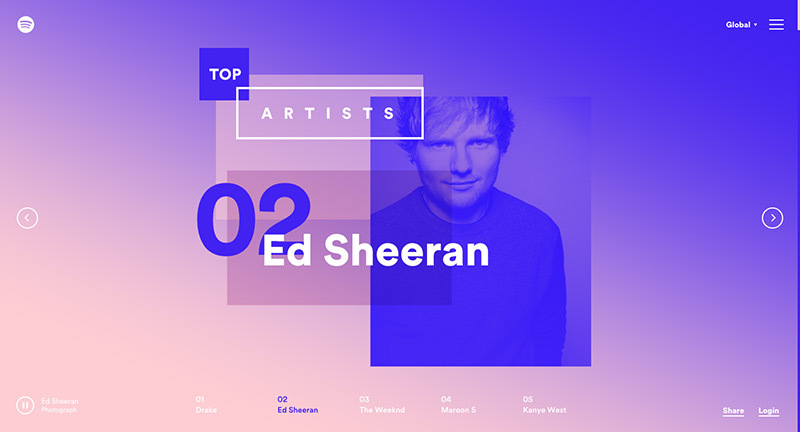 Spotify’s year of music in review – sign in and see the facts and stats about your musical tastes in 2015. 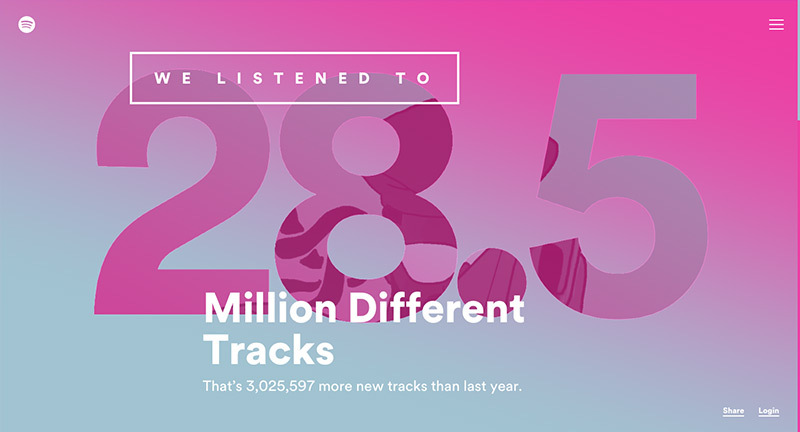 Lovely bold, colourful art direction and clear uncluttered interface. 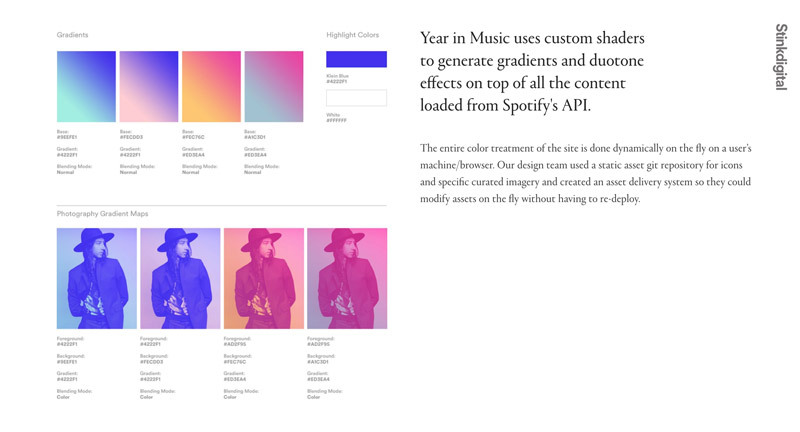 Sweet transitions between the sections and love the gradient colour changes as you navigate between key topics. 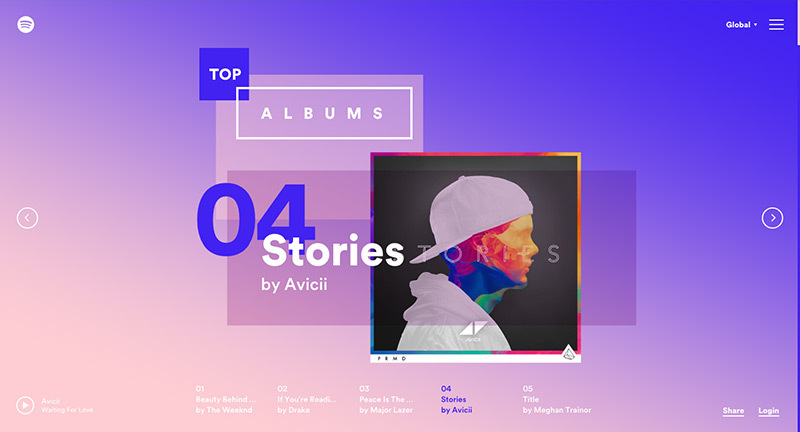 Not too overwhelming with the stats, with the content flowing nicely from big topics to more granular stats. 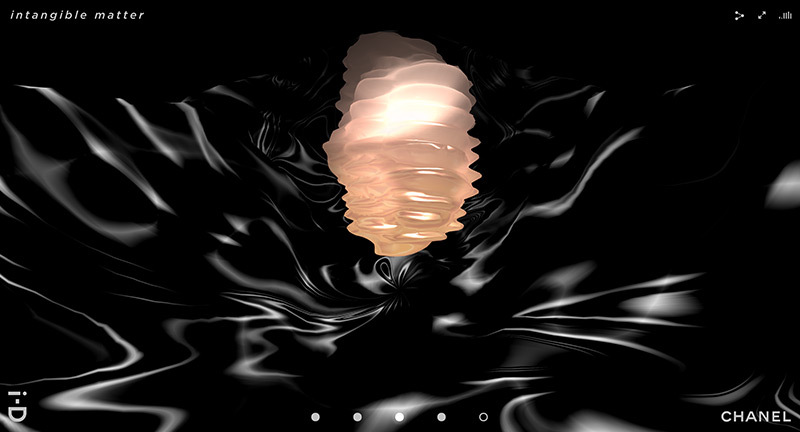 Works great on mobile too with all the same cool transitions and animations. 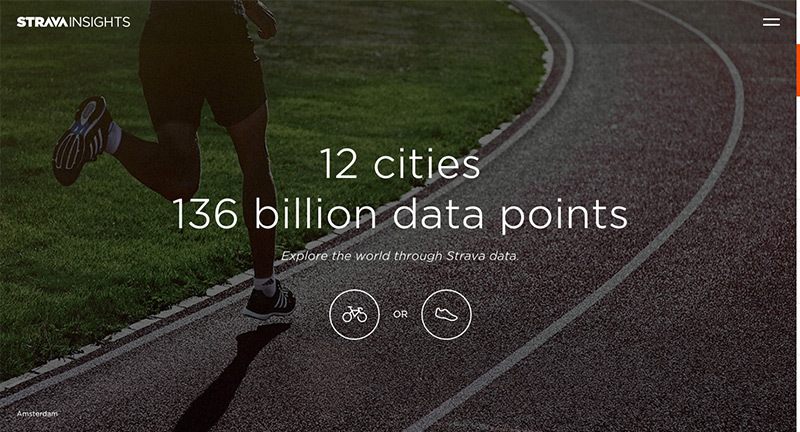 Site that visualises billions of data points gathered by sports and fitness tracker Strava. 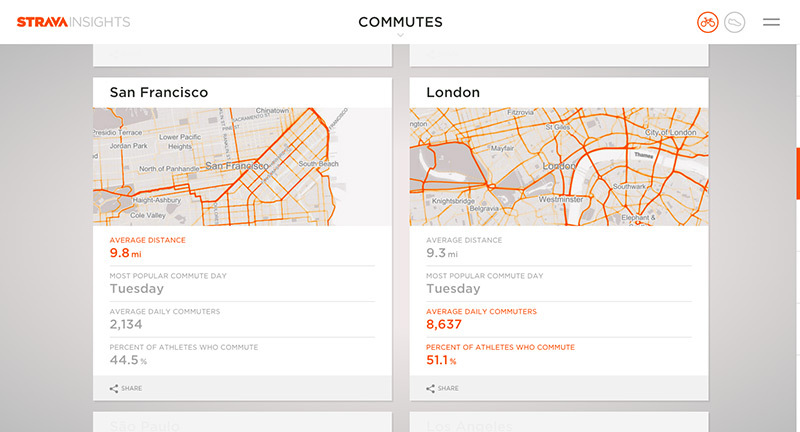 The nice thing about the site, is the way it puts context around the data – by pulling insights from around the world – comparing them and visualising them. 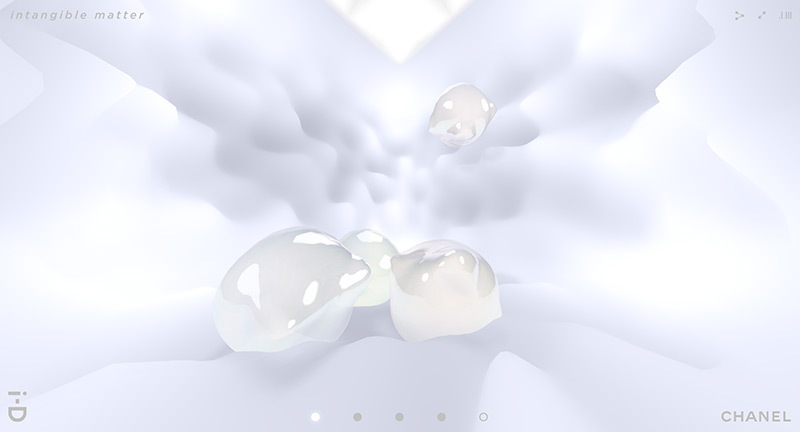 Love the attention to detail with the 3D sphere – even with moving clouds – and nice shareable snippets. 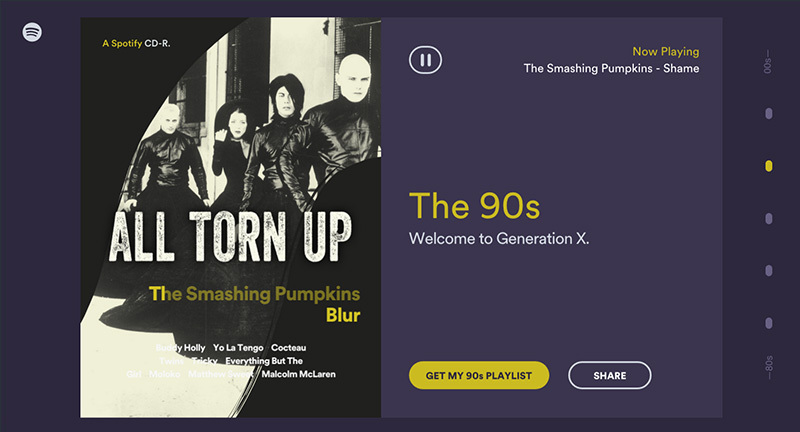 Created by Stink Digital (@stinkdigital). 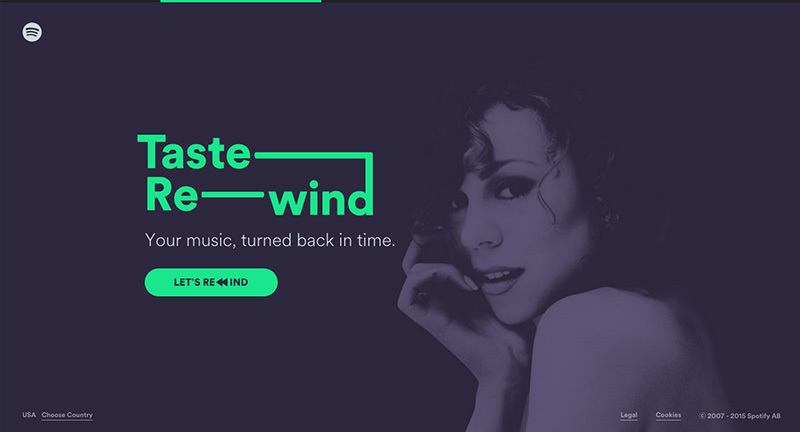 Site for Spotify that creates playlists for you based on your preferences that rewinds musical tastes back a couple of decades. 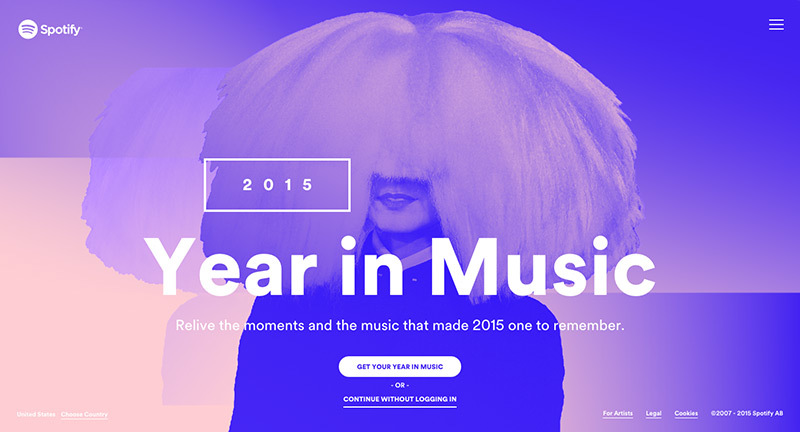 Really nice design and animations that inject a sense of playfulness and colour. 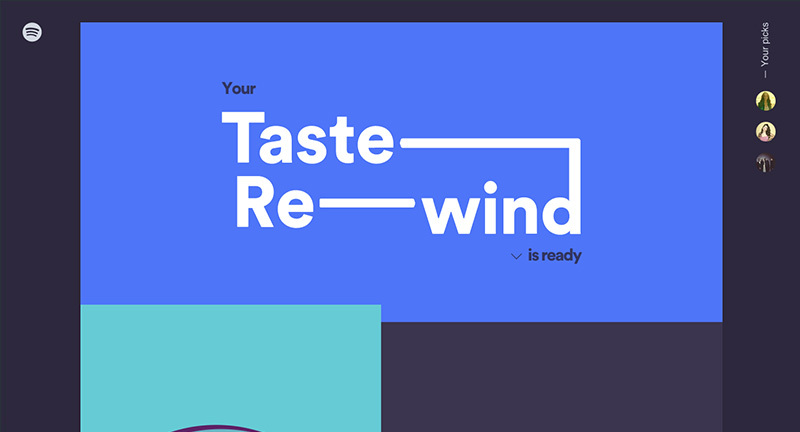 Love all the preloading sequences and transitions – that creates a sense of narrative and storytelling and shows how you can get more out of Spotify. 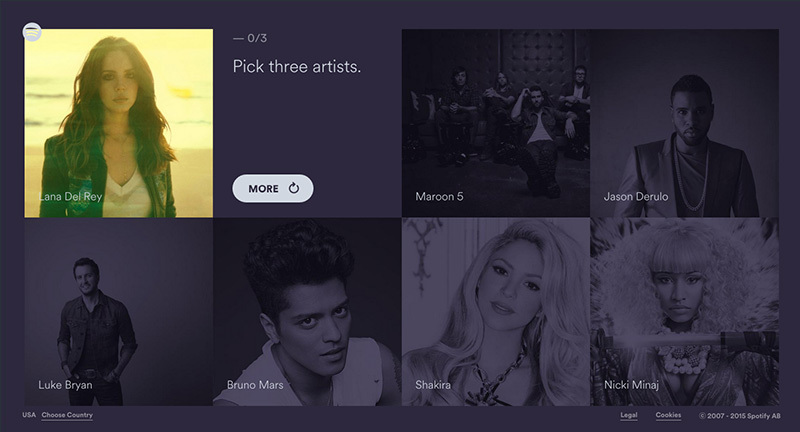 Created by Razorfish (@Razorfish) and Stink Digital (@stinkdigital). 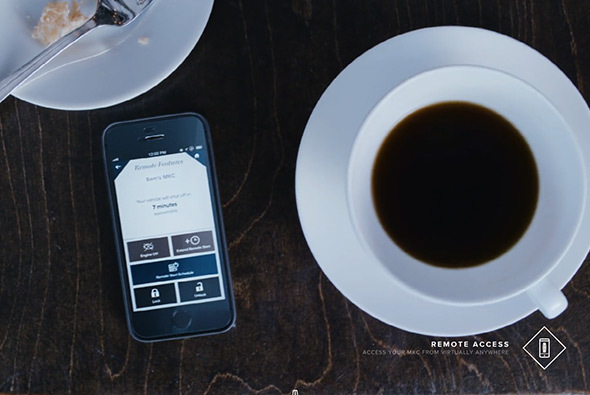 Really really simple and enjoyable execution of a nice idea – for Honda Type R. Hold down the ‘R’ key on your keyboard while watching the film, it will show the same story and scene from the other side. In this case switching between a dad picking his kids up from school vs picking up his partners in crime fleeing a burglary! 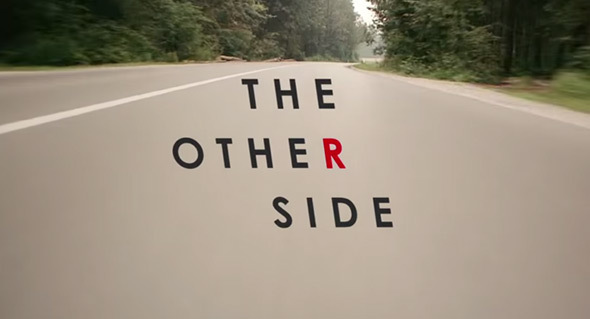 Very addictive to switch between the scenes – to see ‘the other side’. Had to include it for its simplicity and elegance, can’t help but smile at this one – and it’s just a car ad! 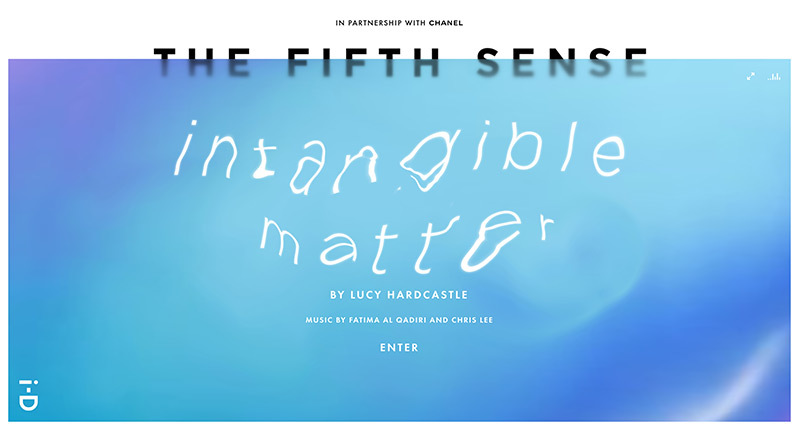 Created by W+K London (@W2Optimism), and Stink Digital (@stinkdigital). 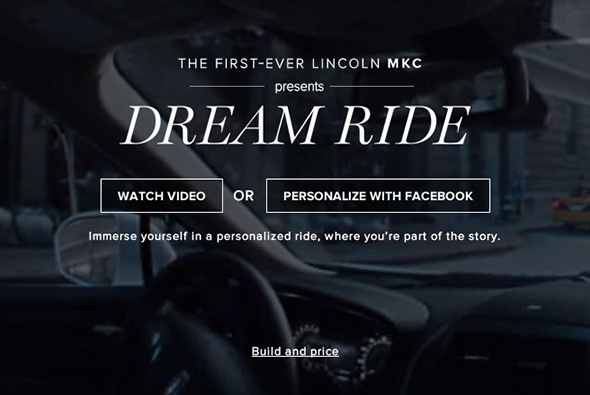 Nice video experience running through the key features of the new Lincoln MKC. 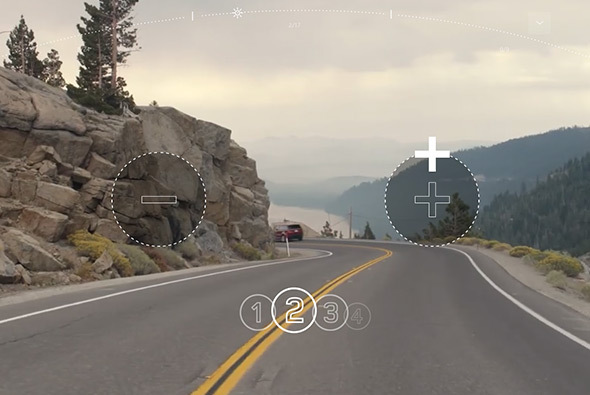 Set from a first person perspective you join your friend in a chase to find a missing wallet – conveniently using all the new features of the car! 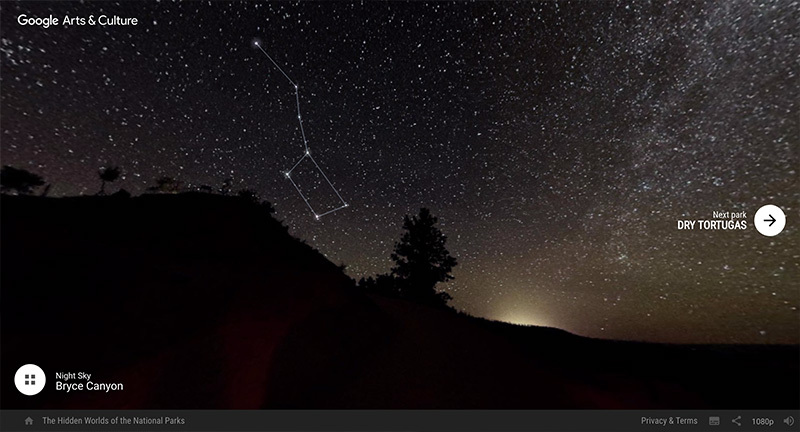 Nicely done, you can pan around your viewpoint – to look around the scene – makes for a more immersive experience. 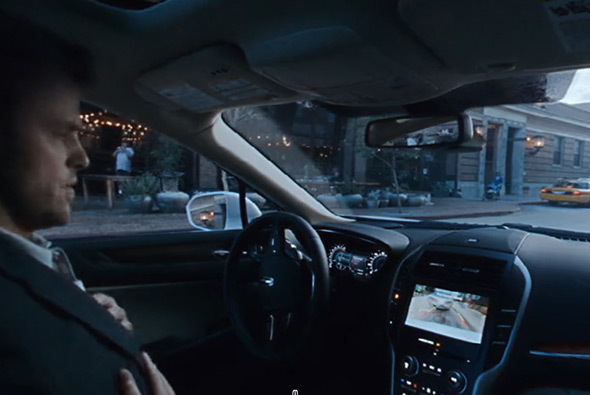 The key features are pulled out, and demonstrated in the film, you can pause and find out more in a non-obtrusive way. 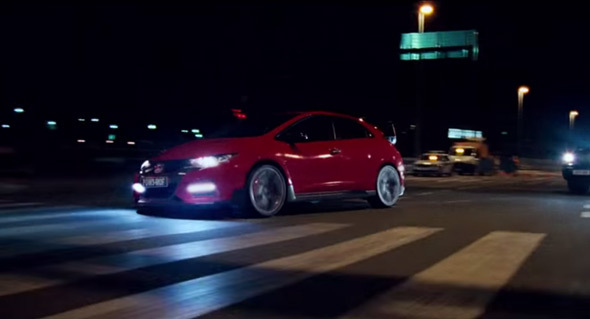 Overall a really nice example of using video & a story to bring a car to life. 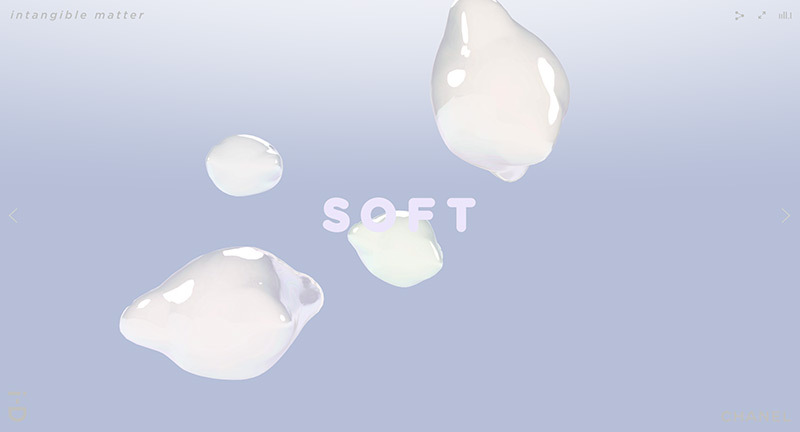 Created by Hudson Rouge (@HudsonRouge) and Stink Digital (@stinkdigital). 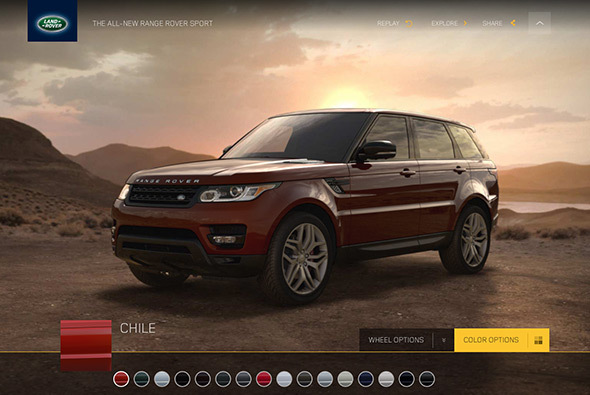 Site promoting the new Range Rover Sport in the USA. 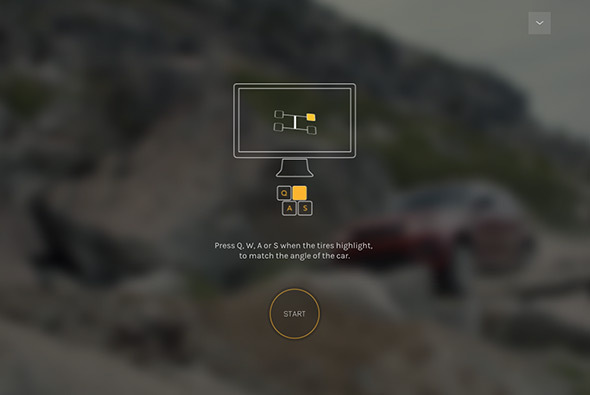 Your mission is to ‘race the sun’, an interactive film, where you can change the gear, choose the right wheel for traction, either using your keyboard or syncing up with a device. 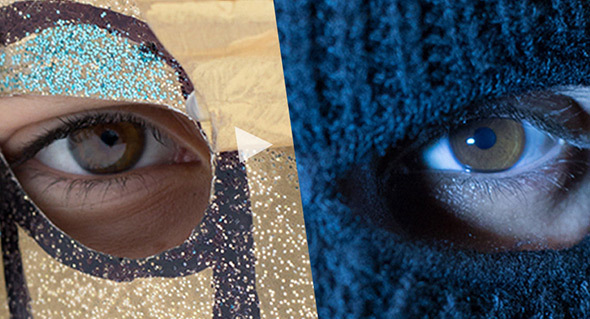 Nicely done, with well shot video, and some nice touches. 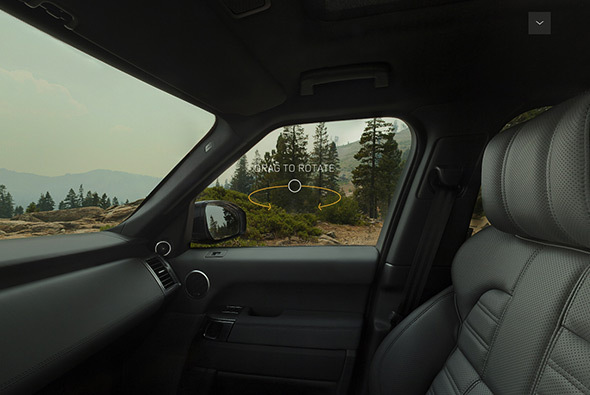 Like that the experience ends on a mini-visualiser allowing you to change the colour and wheels, all in a nice draggable 360 of the car. 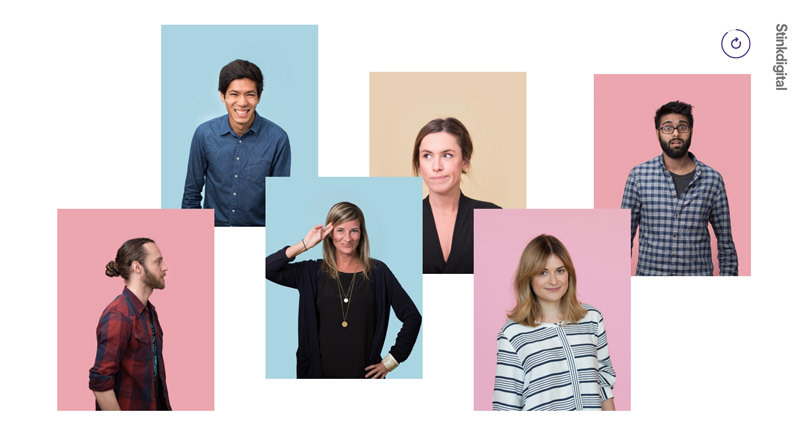 Created by Y&R New York (@yrny) and Stink Digital (@stinkdigital). 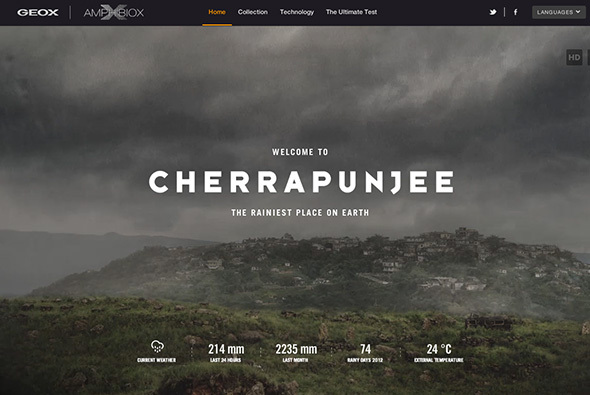 Site promoting Geox’s Amphibiox waterproof shoes – all through a first person tour of downtown Cherrapunjee one of the world’s rainiest places. 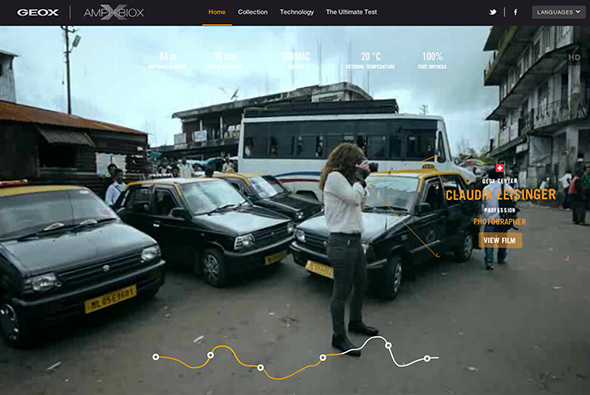 You can control the tour through your mouse wheel to speed up/slow down the pace, clicking on one of the highlighted people will show you the show they wear – all through a really cool mouse as the camera style position. 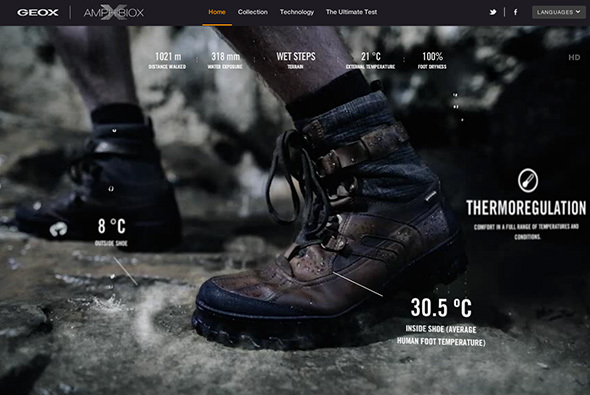 Really nice transitions between the sections and cool videos showing the various tests the shoes are put through. Created by SMFB and Stink Digital (@stinkdigital).